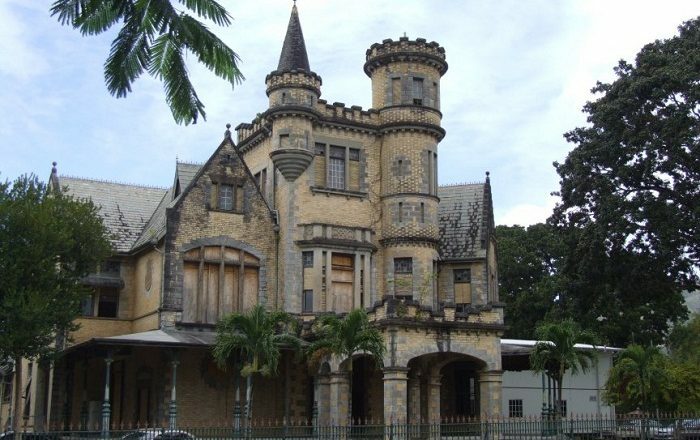 Stollmeyer’s Castle, also known as Killarney, is an interesting Scottish Baronial style residence which is part of the Magnificent Seven Houses that are part of the capital city of the Republic of Trinidad and Tobago, Port of Spain. 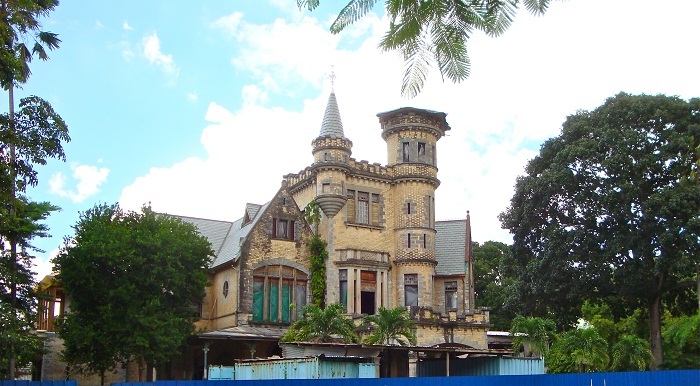 Built in the vicinity of Queen’s Park Savannah, Stollmeyer’s Castle was the first house to be constructed in the Saint Clair subdivision of the capital, and as it was established on lands which had previously been used as the government stock farm, it was built by the planter Charles Fourier Stollmeyer. 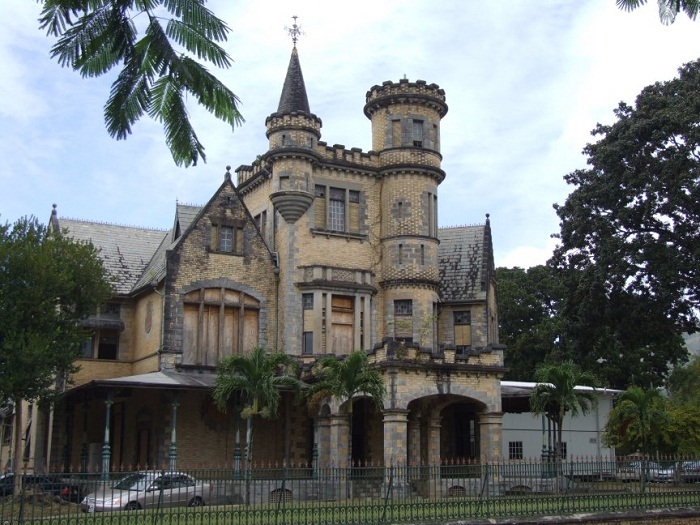 Designed by the Scottish architect Robert Gillies, the large mansion began to be built in 1902 and it was completed in 1904. 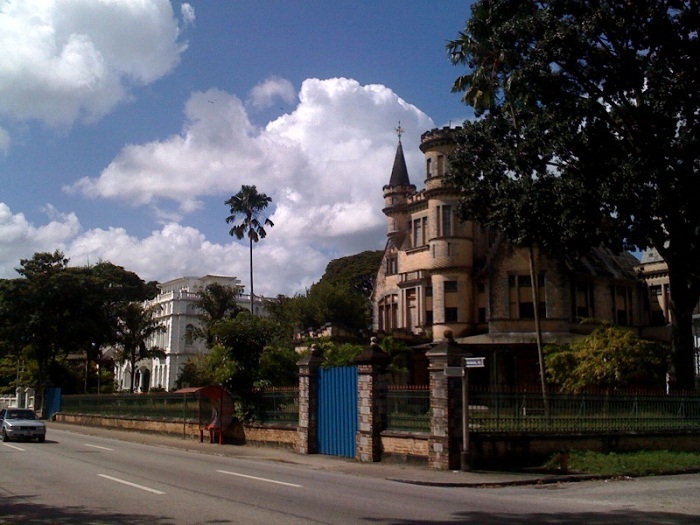 With the battlement turrets, it does have a close resemblance to Balmoral Castle in Scotland, and even though it is grandiose and very beautiful, Stollmeyer’s wife did not approve it and found it to be too ostentatious for her simple tastes, which resulted in transfer to their son. Then, the son’s wife named it for Killarney in Ireland. 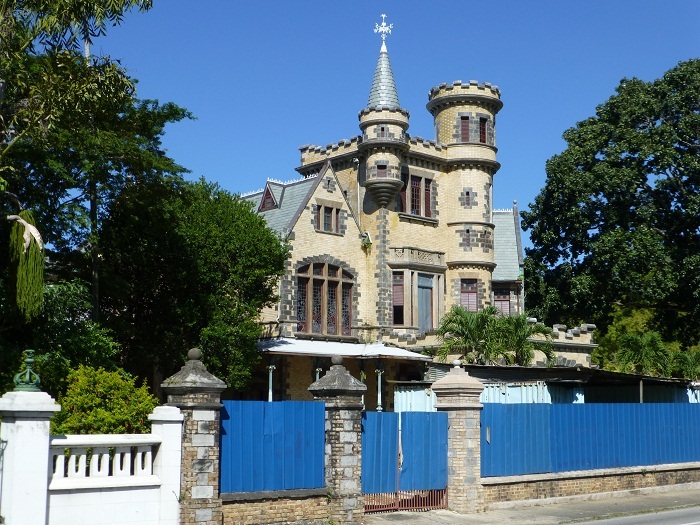 During the Second World War, the castle was used by the United States Forces who referred to it simply as “The Castle”, which in turn got the more common name, Stollmeyer’s Castle. Representing a key feature to the architectural legacy of Port of Spain, since the beginning of 1970s, Killarney is opened to the public and as it is represents a tremendous pride for the locals, in 1990s and also in 2008, restoration projects were carried out in order for this magnificent Scottish structure to be well preserved for the future generations. 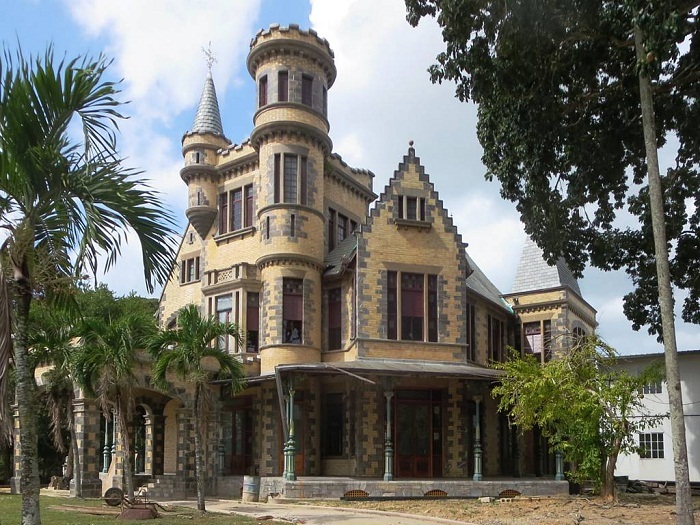 All in all, everyone coming to this small Caribbean nation should definitely come and visit this architectural masterpiece.